Following are some of life’s lessons – learned (sometimes poorly) by me along the road winding through my 65 years on earth. Read them and heed them if they make sense to you. Guard your health above all else. Care for your body, mind and spirit or you will not live the best life possible. Surround yourself with those who would make you grow, not just with those who make you comfortable. Humans tend to mirror those around them, don’t mirror people just like you or you may never reach your full potential. Find a purpose and pursue it until you find a new one. You have many stages of life to visit, each may suggest a new purpose – from growing your body to adulthood; to education of your mind; to bearing and raising children; to pursuing your life’s work; and to moving humankind forward. Use your time to stride towards your purpose, don’t waste your heartbeats on the mundane, non-essential churn around you. You should decide what is important and not let others decide for you. Work hard and be thrifty to get to the point where you don’t have to sell your time for money. Figure out how to become financially independent so you have time to pursue your life’s accomplishments. Provide for yourself and your family so that you have maximum control over your own life. You are not entitled to a work free life, free food or free shelter just by being born. Engage yourself in the many wonders of the world. Break out of your birth and childhood circles and burst into all that is new and different from what you have ever known before. Only when you see what is possible will you think about doing it and believe that you can. Satisfy your ancestral imperatives without sacrificing your individuality. We all yearn for acceptance, security, companionship and comfort. The tribe provides these, but it is the individual who steps outside the tribal boundaries who moves humankind forward. These are…the cave man who chiseled the first wheel, the American Indian woman who tanned the first buffalo hide and made it into a tent, the woman who inspired the creation of the computer language COBOL and the men who had the courage and audacity to sit on top of a ball of fire and ride to the moon. Take pleasure from the physical world each day of your life. Feel the warmth of the sun on your cheek; the softness of a newborn’s skin; the swaying of the trees in a breeze; the crisp cool feel of water on a hot summer day; the taste of fresh, hot bread; and the theatrics of a summer thunder storm. Life is to be lived and enjoyed each day, not on some far distant day in the future when certain conditions are met. Cherish and nurture your relationships with others, for from them you can draw strength, comfort and help. Do the things that make you happiest. Be happy by doing something for others – smile at an opponent or chat with a despondent friend – we are hard wired to enjoy giving – if done right it will make you happier. Engage in activities that are satisfying to you. Honor yourself. You are a child of earth. You are important. Be confident in your knowledge and your opinions. Know you have the right to exist and be heard. Be steadfast in your beliefs. Uphold your moral code even in the face of disagreement and persecution. This is different than being a law-abiding citizen as there may, at times, be laws that go against your moral code – laws which need to be withdrawn or changed. Honor your family before you. Without them, you would not be here. Carry their story forward along with your own to future generations of family. Honor the earth and its’ other lifeforms and treat its’ environment as your home. It is. Don’t let it be destroyed by humankind activity. Cherish and preserve its beauty and bounty. Make time to dream, but also make time to do. Dreaming can show you what is possible but unless you act on that dream, it is just entertainment. Be inspired. Be in awe of something every day – whether it is an idea, an intricate and silvery spiderweb or the sparkle in your spouse’s eye. Don’t lose the wonder of being human. 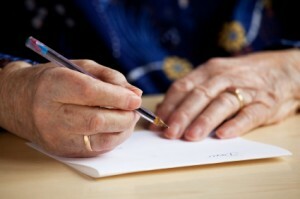 Don’t follow the advice in this open letter blindly. Be your own person. Thanks for this very inspiring and sweet message. I remember my late father he always taught us how to become a good person, that family should be the priority above all, learn to say sorry if you make any mistakes and mostly be humble in everything. I’m sorry your Father is gone, but glad you are remembering and honoring his life. Very sweet and inspiring! This sounds like something my own mother would write. Thanks for the very inspiring post! We must really impart important lessons to the young to give them guidance. We can try, but I’ve found (mainly by reviewing my own actions) that most of us have to learn those lessons the hard way. Wonderful letter, Marie. I have also written a letter to my son to be read at some later date. It has may themes similar to your letter. I go into detail about liking and trusting his mother (my lovely wife) no matter what. After all, she is his number one cheerleader and advocate. Great message to your children, grandchildren and all of the rest of us. Thanks for sharing such a personal letter. Wise words Marie! I am thankful for each day that I have with my friends and family! I believe it is beneficial to reflect on the positives in our lives. “Life is to be lived and enjoyed each day, not on some far distant day in the future when certain conditions are met” – This is how I live my life and I’m glad that you found this to work for you as well.